Dumbo revealing that he can fly. Many of Disney’s more recent live-action adaptations of its classic movies like The Jungle Book and Beauty and the Beast have been so heavy on the CGI that you kind of have to get used to things not looking “real” before you can properly lose yourself in the stories. Given how Dumbo’s cast is mostly regular humans interacting with a digitally-created elephant, Tim Burton’s live-action adaptation has its work cut out for it. 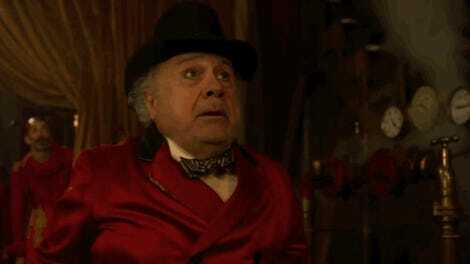 Because Dumbo’s about an elephant that becomes the star attraction at a circus by flying with its ears, the filmmakers were tasked with creating a CGI pachyderm that could realistically interact with the movie’s large cast of human actors—Michael Keaton, Colin Farrell, Danny DeVito, and Eva Green, just to name a few. 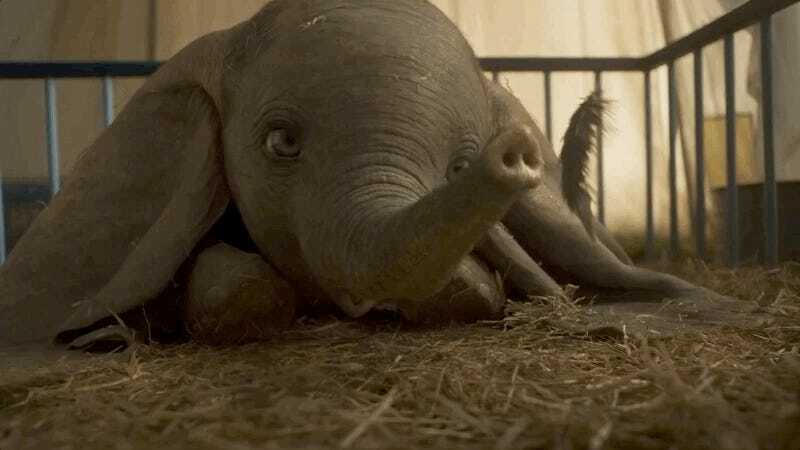 In the latest trailer, it’s impressive just how lifelike Dumbo is, considering the whimsical nature of the character, and it’s all the more reason to assume that that scene involving Dumbo’s mother is going to be a tearjerker. Dumbo flies into theaters March 29.